As it stands, the details are still conflicting as far as how much the Browns knew about Kendricks’ history of insider trading. Some say the team only knew he was part of an investigation, while others are claiming Kendricks told Cleveland everything before a contract was agreed upon. To me, both sides of the story do nothing to change my stance that this was an issue the Browns – a team in dire need of leaving its sideshow days behind – could’ve avoided. Per today’s reports, Kendricks ended up making $1.2 million through illegal trades based on tips provided from a former investment banker. It’s a serious crime, one which could involve harsh punishment. In a statement, Kendricks not only admitted his guilt, but also noted he realized what he was doing was wrong when it occurred. 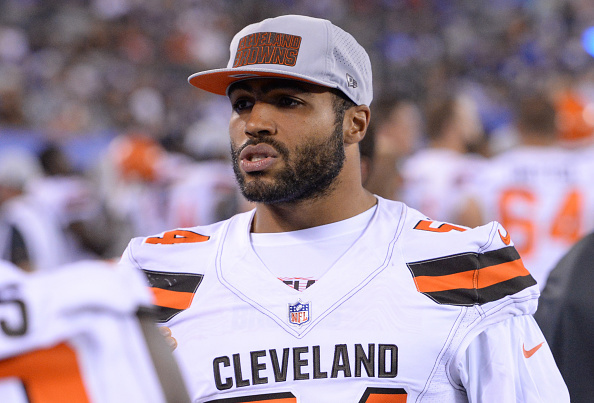 For what it’s worth, the Browns only signed Kendricks to a one-year, $3.5 million deal. Should they cut him in the wake of this news, they’d only be out the $500,000 they initially guaranteed with the contract. Again, though, my concern is less about what happens from here with Cleveland and Kendricks and more about how avoidable this could’ve been. It’s also making me wonder if GM John Dorsey is starting to play with fire when it comes to his penchant for investing in players with off-field issues. If the Browns knew Kendricks was involved in a case like this, it should’ve been enough of a red flag to cause any hesitation in signing him. While the contract they inked him to wasn’t a major investment, it still came with the risk of this blowing up as it did this morning. This also isn’t a matter of Kendricks being accused of something or being in the early stages of an investigation. He literally came out and admitted his crime, along with his awareness that what he was doing was illegal. There’s no gray area here. It makes you wonder, provided the above tweet is correct, just what aspect of Kendricks’ issues made the Browns feel “comfortable” with the idea of signing him? If this was indeed the case, if Cleveland was provided enough detail about the investigation into Kendricks and shrugged it off while sliding a contract across the table, it makes you wonder if Dorsey is getting too laid back when it comes to off-field concerns. This new saga comes just weeks after rookie wideout Antonio Callaway got caught with weed in his car while driving on a suspended license. Though the charges weren’t severe, very few were surprised about the story considering Callaway’s numerous disciplinary problems while at Florida. Dorsey felt comfortable about drafting the receiver despite these, and it appears you could say the same about Kendricks, regardless of how much detail the linebacker provided. I understand why Dorsey may feel as though he can continue rolling the dice like this. As GM of the Kansas City Chiefs, he took a similar chance with wideout Tyreek Hill despite his pleading guilty to assault and battery in college. Hill has since avoided trouble and become an All-Pro. Despite the success seen there, and the potential Callaway is displaying, this really isn’t something you want to keep raising the stakes with. Valuing talent over personal baggage can eventually become a slippery slope, something the Browns hardly need considering the disastrous two decades of football they’re trying to move on from. Not all of Dorsey’s acquisitions have come with legal issues. At the same time, the ones who did have already seen their problems surface before the season even started. They were also problems the team was aware of well beforehand.